Saturday, July 23 – River Road Ice House–TICKETS! 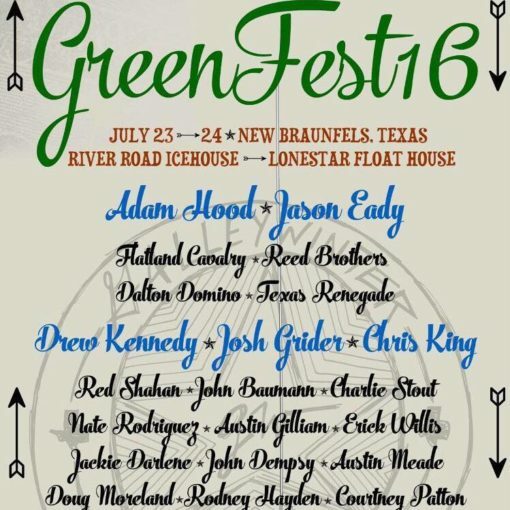 Sunday, July 24 – Lonestar Floathouse–FREE! Saturday will be full bands rocking. Sunday will be some acoustic healing. It’s perfect time to make some plans for the future and it’s time to behappy. I have read this post and if I could Idesire to suggest you few interesting things or advice. Maybe you could write next articles referring to this article.I desire to read even more things about it! 2U3ILE Say, you got a nice post.Thanks Again. Much obliged.